A beautifully CNC machined underdrive crank pulley by VAC. Machined to exact tolerances and hard anodized for durability. Mean for the racer when every last bit of reliable output counts on the track. Get our pulley to insure the lowest parasitic loss as all RPM levels. 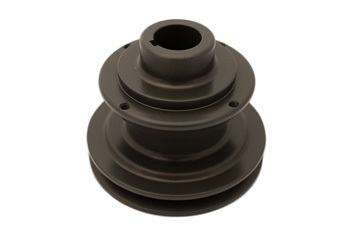 This pulley is designed featuring a step on the back side to easily accept our crank trigger rings for your standalone ECU install, whatever manufacturer you are using.